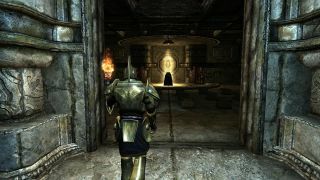 Back in July, the right honourable Philip Savage told you about The Forgotten City, an ambitious Skyrim mod that tells a murder mystery in an ancient subterranean city. It fits with existing Elder Scrolls lore, which is nice, it boasts an original orchestral soundtrack, 18 voice actors and over 1200 lines, and features a non-linear story set across multiple timelines—and, oh yeah, this hugely exciting mod is out now. Moral dilemmas, puzzles, and multiple endings are also things to expect, over the course of The Modern Storyteller's 6-8-hour-long adventure. Get it from ModDB here, or Nexus Mods here, or the Steam Workshop here, and be sure to watch the launch trailer above.